The idea to start a brewery originated like many other hair-brained schemes – a bunch of friends talking about business concepts after having maybe one too many beers. The plan was simple. Brew beers we like to drink. It seemed like a pretty good idea since one of us was a long-time professional brewer and the other was a veteran of the hospitality industry. I mean what could go wrong! Mike McDonald is the head brewer. He has been working as professional brewer since 1990 and has been the creator of all the great ales and lagers coming out of White Marsh Brewing Company since it opened. Spike Owen, the other partner in crime, handles the business, sales and operational needs. He has been in the restaurant and hospitality business since 1990s. For the past 12 years he’s had a restaurant management & consulting company, which has opened many successful establishments throughout the Baltimore/Washington Metro area. Between the two of them and some other key team members, we think we have a good thing going. So after many months of trying to find the perfect location and hitting up friends, family and other unsuspecting people to raise funding; we officially opened in August of 2015. 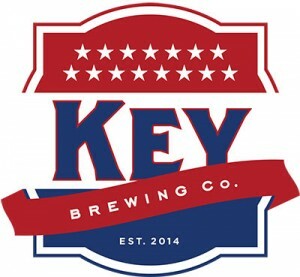 Key Brewing has the great distinction of being the only brewery in Dundalk, MD. And as our story started, the mission is still the same: We brew high quality beers that we like to drink; and we think you will like to drink.